As a social worker/mental health worker, it was delightful to see the great outcomes of Equine Therapy. 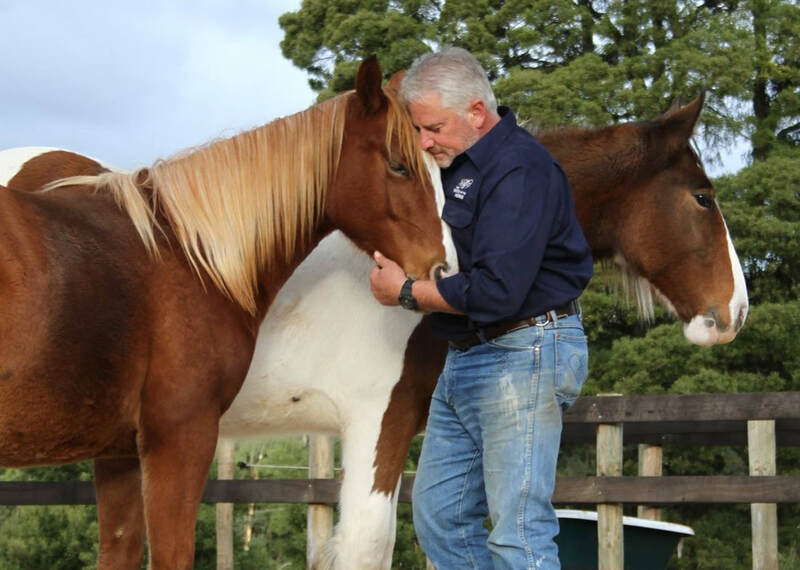 Dean is a wonderful practitioner, and his meaningful work at The Path of the Horse is admirable and outstanding. Easily the best day out I have had in a long time with my wife and son, plus the rest of the amazing crew. My mind switched off and was instantly at ease with these majestic, beautiful and caring animals. Dean, Clint, Jane, Karen, Dale, anyone I may have missed, couldn't speak more highly of you all. No pressure to do anything other than what the individual wants, exactly what I needed. Best therapy I have had thus far. Thank you all so very much. I will be back. Having been diagnosed with depression back in April 2016, I finally started to understand that my erratic moods and odd behaviour were the result of this and not just me being unable to function properly because I 'couldn't get it together'. I started seeing a psychologist and taking medication, which helped me. I had confided in Dean, who I have known socially on and off through the past 23 years, that this was where I was at. I wasn't aware of the work he was doing at the time. He offered for me to come visit himself and his horses. I accepted, keen to do all I could to improve my situation. The peace that I felt when I was with the horses was something I had not had in a long time.They were all gentle, quiet and curious about me. It was wonderful from the first time I met them. Talking with Dean helped immensely as well. (plus he makes a good cup of tea). I found as I went along, that long buried issues seemed to dissolve or unravel themselves, if you will. Not when I was with Dean and the horses, but out of the blue at work, or at home for no particular reason. I don't know if that happens for anyone else, but it did for me. I have found since seeing Dean and his horses on a few occasions, I feel I have turned a corner. My psychologist suggested I call her if I needed her, as she felt I was travelling okay and I agreed. I had thought the same thing. I don't exactly know what the horses do that helps, apart from being themselves. And I can't thank Dean and his wonderful horses enough for all they have helped me through. I can only recommend to go see Dean and his horses to any and everybody. Their presence in your life is so beneficial. From the bottom of my heart, I thank you Dean for your kindness and understanding. And am eternally grateful that I got to meet such wonderful animals. They are truly amazing. Being born on the Aspergers Spectrum, and with physical and emotional issues, my daughter has spent her life having an assortment of therapies! Occupational, Physiotherapy, Psychotherapy etc. She suffers severe anxiety and struggles with her peer group- she is just wonderfully different! Although she loves animals having grown up in the bush in South Africa- she didn't have any contact with horses. Until Dean. One session with Dean and his herd has been extraordinary. I have never seen such a transformation! She literally was bursting with joy. She has not stopped talking about the horses. She felt calm and anxiety free and enthusiastic and just loved it! I don't know what even occurred with Hannah and the horses- but she can't wait to get back! Thank you Dean- there is some magic happening there in your stables!